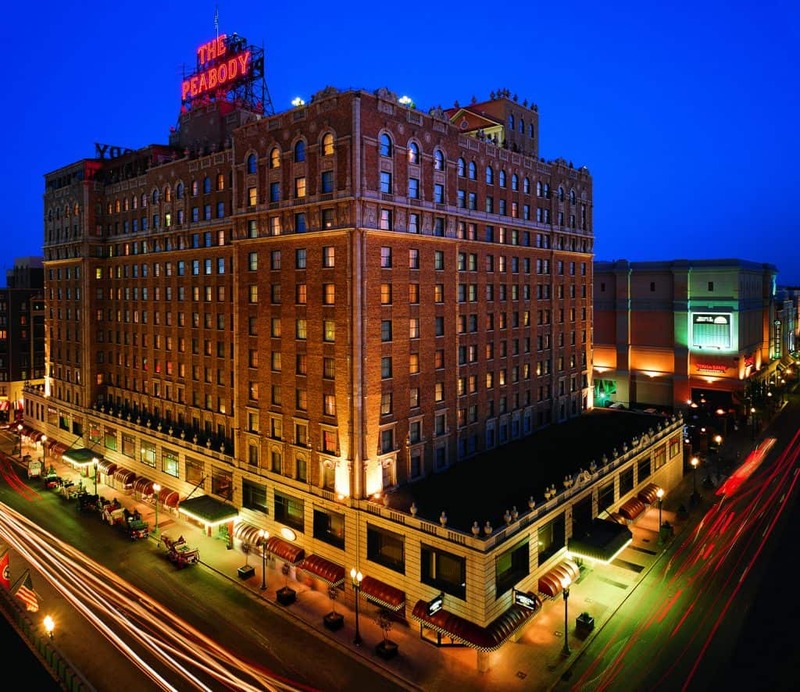 For a Memphis trip to remember, the Historic Peabody Hotel is the place to stay. 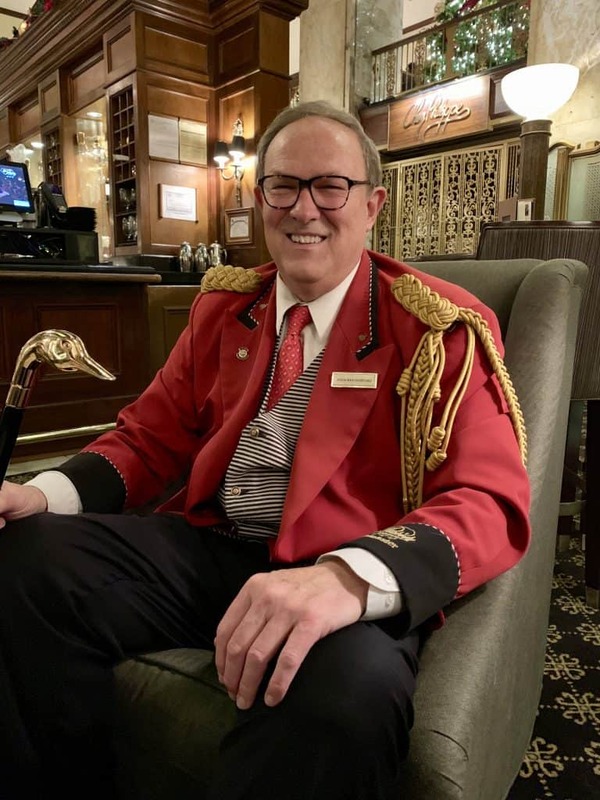 Be sure to see the march of the Peabody Ducks, and get a tour from the one and only Duckmaster/Historian, too! Disclosure: I was given a media rate for my room at the Peabody Hotel (I paid for the room and meals). Last November, my parents and I took a road trip from Michigan to my home in Los Angeles. 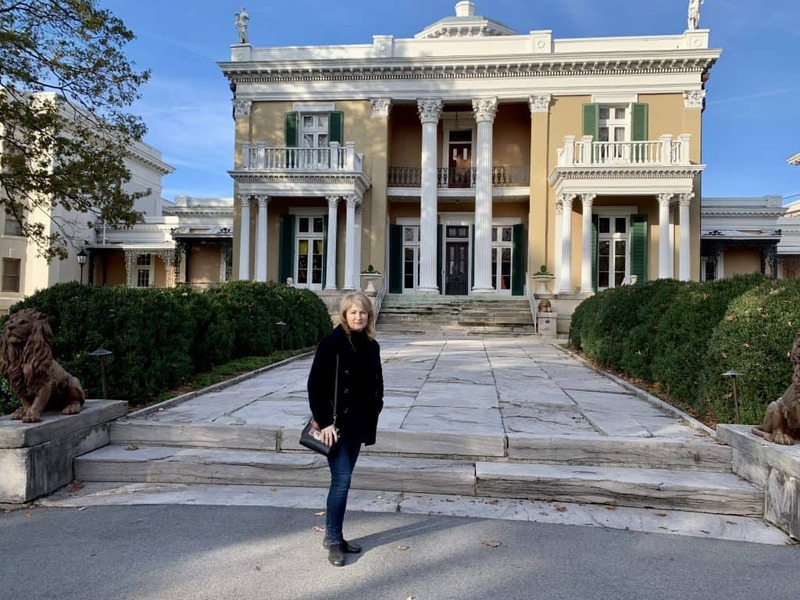 We took a little detour to Nashville because I had just been there for the first time, and wanted my parents to see the Hermitage Hotel and all that the city offers. However, none of us had been to Memphis, so I posted on my Facebook page to ask my readers’ recommendations for us there. 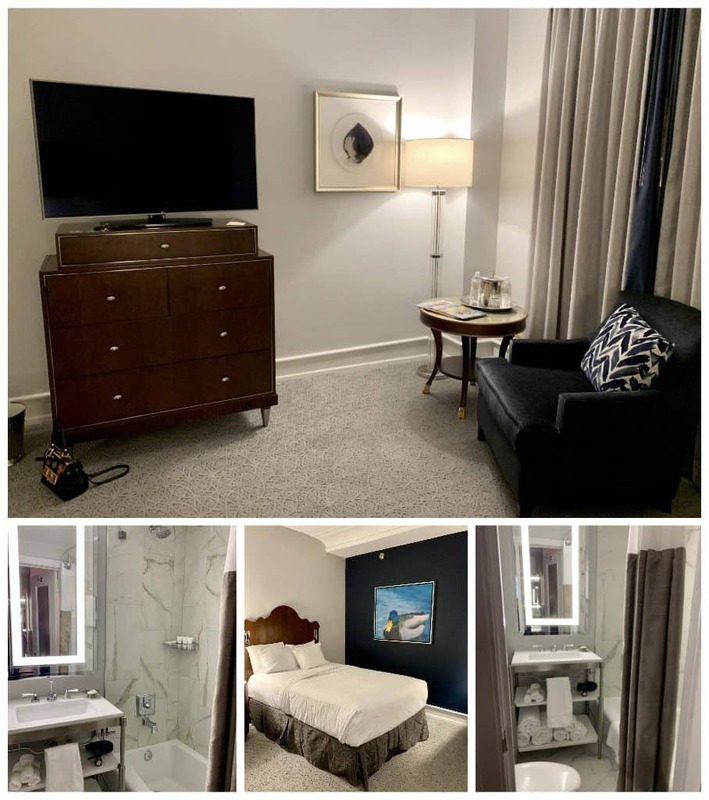 After the responses, it was very clear to me that we could not miss The Peabody Hotel! And what you don’t know about me is that I LOVE ducks, so when I learned about the Peabody ducks, it was a done deal! There were ducks everywhere; except on the menu! In fact, the hotel’s restaurant, Chez Philippe is the only 4 star French restaurant without duck on the menu. However, let me tell you a little about the hotel before we get to the restaurants. 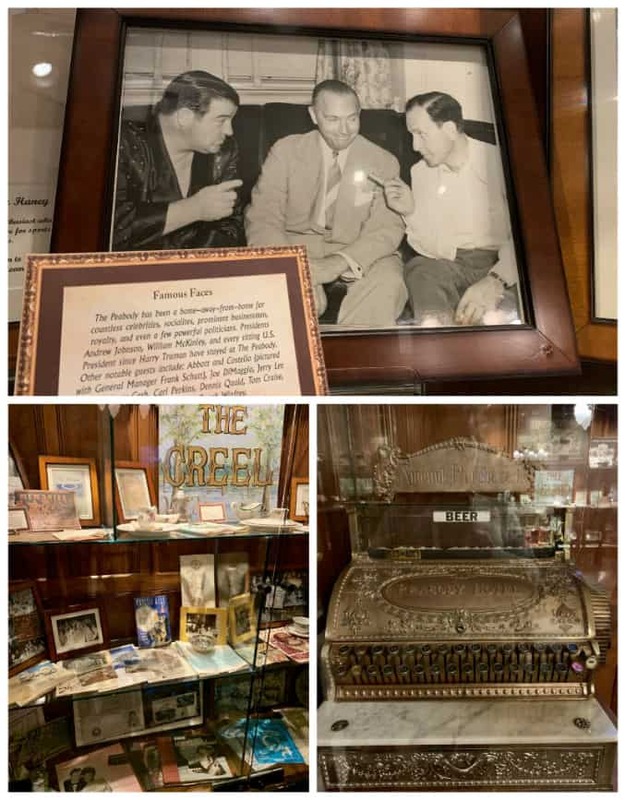 We were so enamored with the Peabody Hotel, that we had already left Memphis before we realized we’d forgotten to at least drive by Graceland! 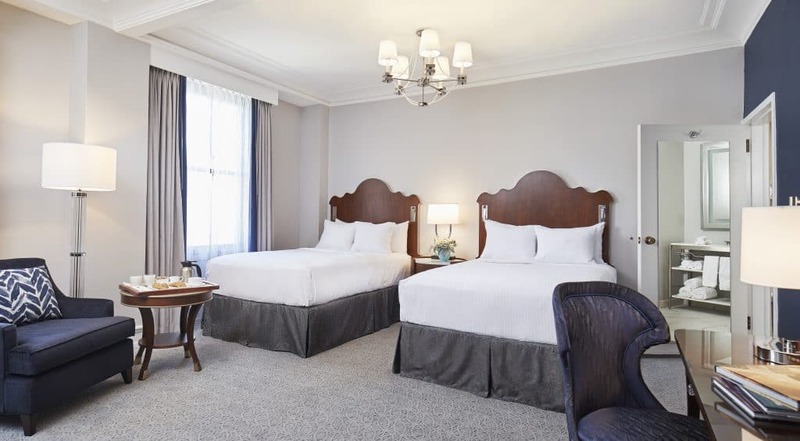 Completed in 1925, this current Peabody (it was first opened at another location in 1886) opened as a luxurious hotel in the center of Memphis, Tennessee. 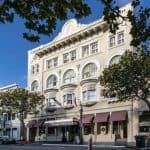 It was built in an Italian Renaissance style and included a grand and impressive air-conditioned lobby with a black travertine and marble fountain. 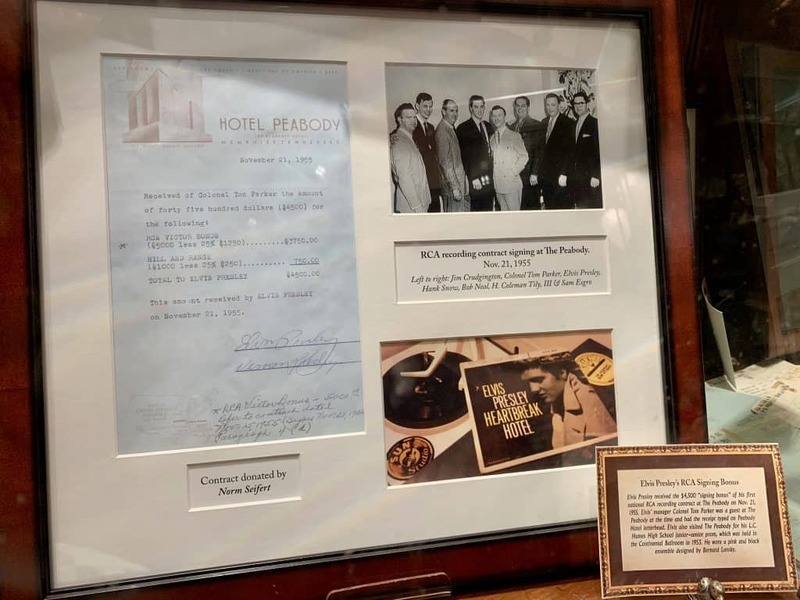 You can read all about the intriguing history of the Peabody Hotel on their website, however, at one time it fell into disrepair and was scheduled to be demolished. Honestly, if you have ever stood inside the Peabody Hotel, you will understand the horror that fills you when you hear this fact. 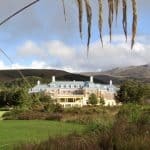 Thankfully, it never came to pass, and the hotel was restored to its original splendor and reopened in 1981. 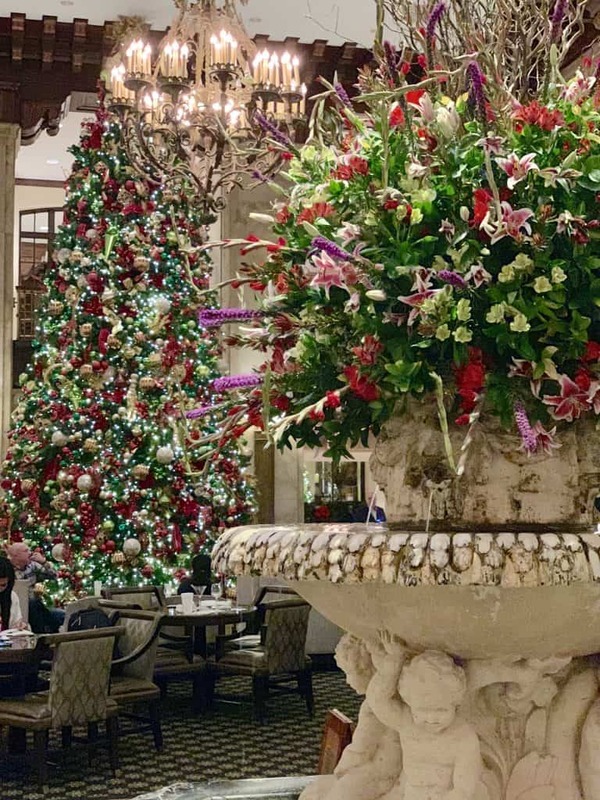 When we visited in late November, we were fortunate to see the lobby decorated for Christmas! It was stunning, but the photos just don’t do it justice. This is the lobby where Elvis signed his very first contract! Honestly, my parents and I could have listened to Doug explain the history of the Peabody and all its connections to famous people, artists, celebrities and Memphis itself, for hours! He has such interesting stories and facts, you won’t regret it. The mezzanine provides a great view of the Peabody’s lobby and there are some other vintage spots to explore. It’s wonderful to sit and people watch in the lobby, but the fact that there’s a bar right in the Peabody lobby is a nice bonus! 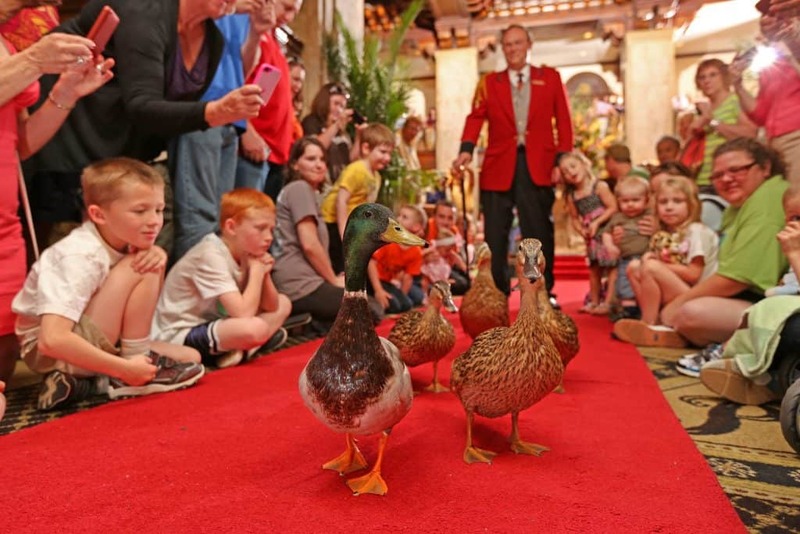 If you’ve never heard of the Peabody Ducks, you probably don’t know the story behind how this tradition was started right from the Peabody website. How did the tradition of the ducks in The Peabody fountain begin? Back in the 1930s Frank Schutt, General Manager of The Peabody, and a friend, Chip Barwick, returned from a weekend hunting trip to Arkansas. The men had a little too much Tennessee sippin’ whiskey, and thought it would be funny to place some of their live duck decoys (it was legal then for hunters to use live decoys) in the beautiful Peabody fountain. Three small English call ducks were selected as “guinea pigs,” and the reaction was nothing short of enthusiastic. Thus began a Peabody tradition which was to become internationally famous.® -quoted from the Peabody Hotel website. Here’s the best part: every day at 11 am and 5 pm you can watch the Duckmaster march the ducks to and from the fountain and elevator in the hotel lobby. As you can see from the photo with the ducks marching above, it’s usually “standing room only”! And of course, Doug Weatherford is the current Duckmaster and hotel historian, as I mentioned above. Here’s a little clip of the Peabody Ducks from our visit! Where do the ducks live? 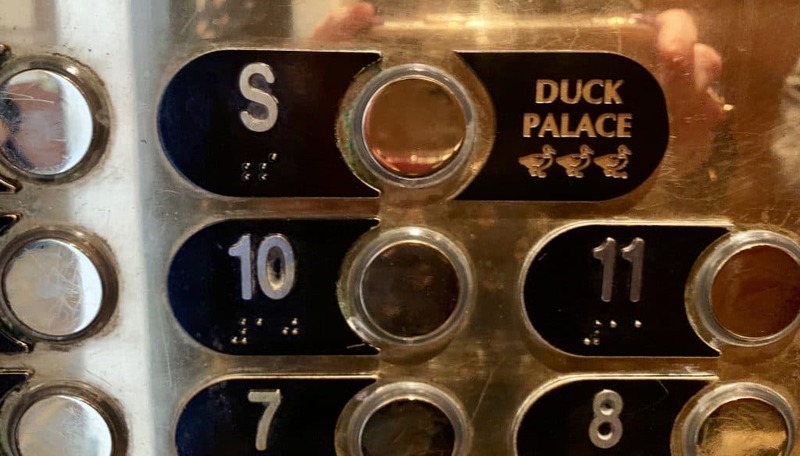 Why in their $200,000 duck palace on the top of the Peabody hotel, of course! 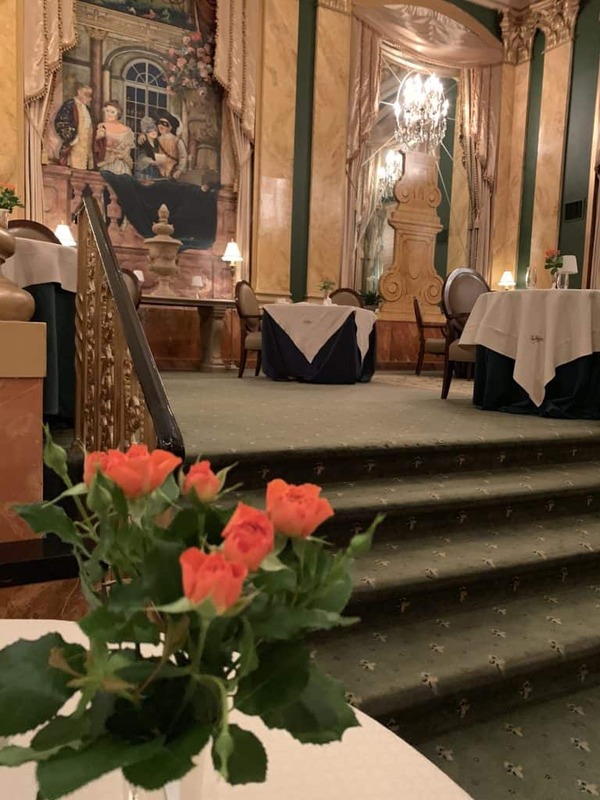 One of the most exquisite parts of the Peabody Hotel is surely Chez Philippe, their 4 star restaurant. (Sadly, it can never be a 5 star due to the restrooms being in the main building of the hotel and not within the restaurant itself.) 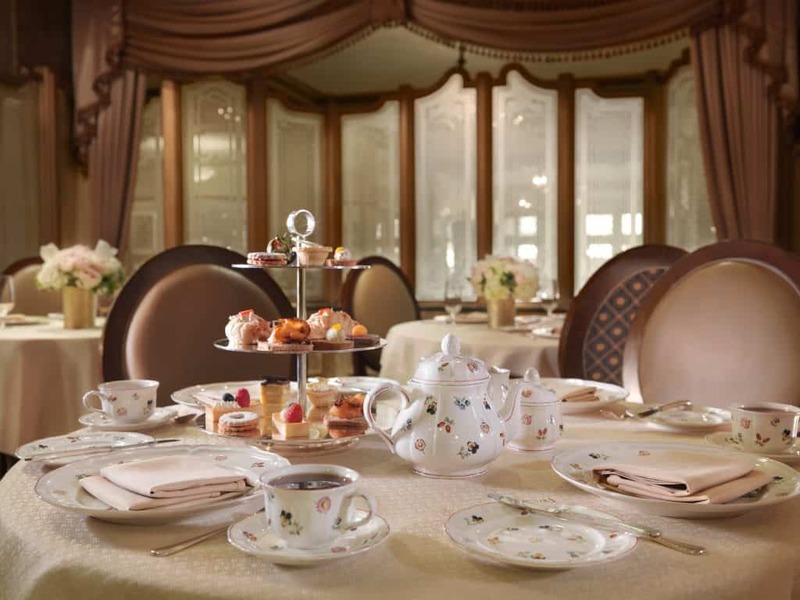 Not only does the restaurant serve beautiful French dishes, but afternoon tea is also served here. I would have loved to have either dinner or tea (or both!) at Chez Philippe, but our stay was simply much too brief. In the photo below, Doug is telling my parents all about the artwork on the walls and columns in the restaurant. He had some very intriguing stories! There’s an Italian steakhouse at the Peabody Hotel, too. Its menu is more geared for steak lovers than Italian dishes, but if you’re staying at the hotel, you won’t have far to go to eat here! 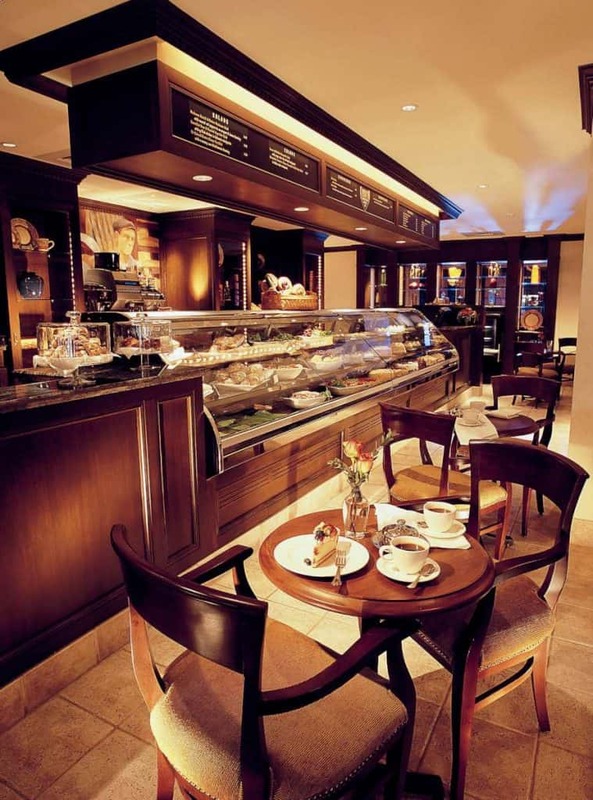 Pop in here for complimentary coffee in the morning if you’re a guest at the Peabody Hotel. Just be warned, you’ll most likely be enticed by all their gorgeous pastries and baked goods! 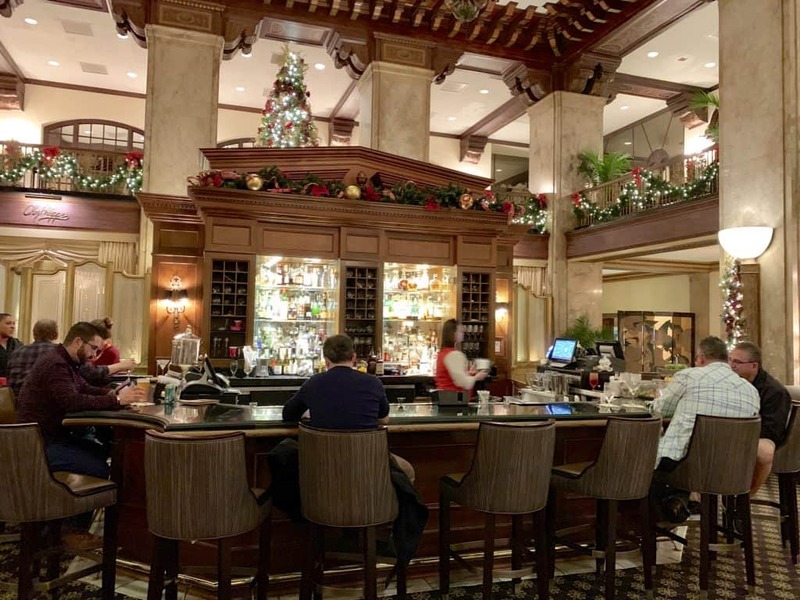 Another dining option in the Peabody Hotel is the Corner Bar for casual bar food and drinks, as well as a Saturday brunch. Dad and I just had to pose with Jack! Last, but not least, I can’t let you go without telling you about the “Clothier to the King”. 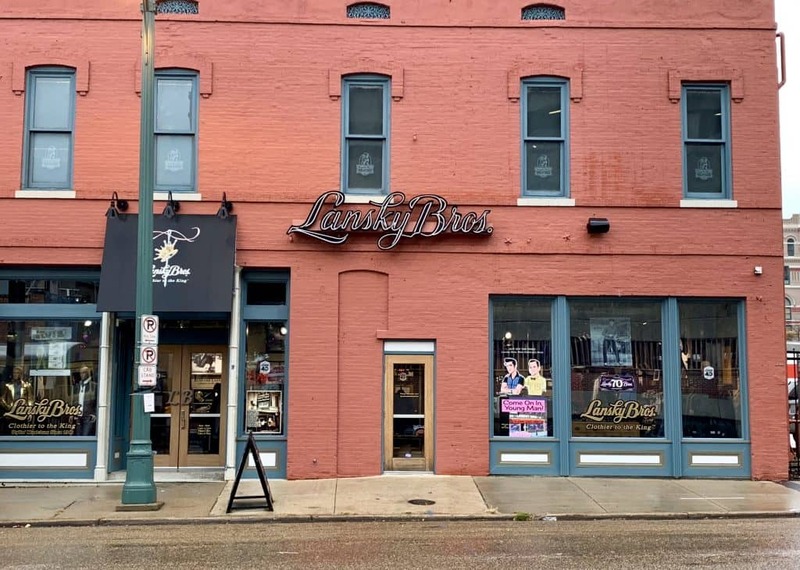 If Doug wouldn’t have told us the story about a young Elvis Presley standing in front of the store you see in the photo above, we never would have know about the Lansky Brothers’ fame. As the sign says in the window of the original store, “Come on in, young man.” This was what Mr. Lansky said to Elvis as he’d seen him standing in front of his store staring inside numerous times. 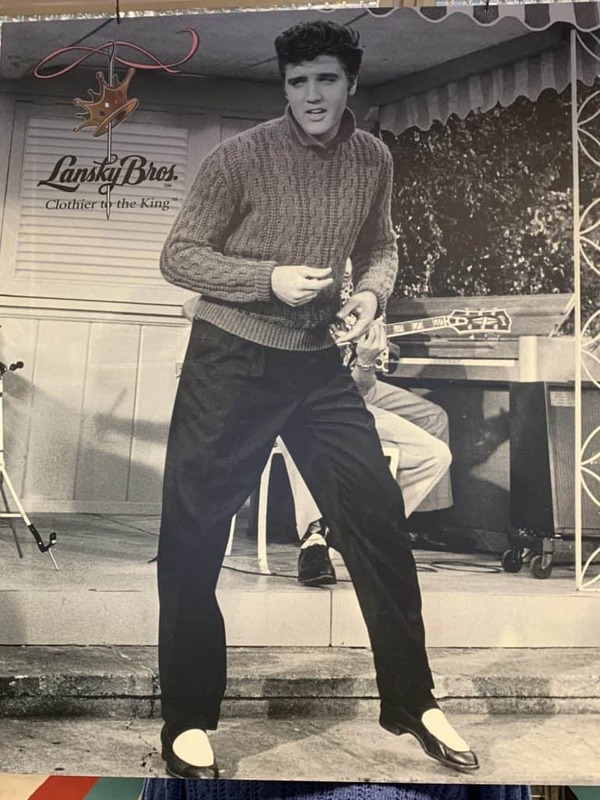 Apparently, Elvis told the owner he wasn’t able to afford the clothing in the shop, but Mr. Lansky decided he liked Elvis and wanted to help him out. The rest is history. Elvis’ future style and his clothing was a result of this alliance with the Lansky Bros. There is now a shop inside the Peabody Hotel, too (which is steps away from the original store). They still carry all Elvis’ favorites, including the cologne he loved. 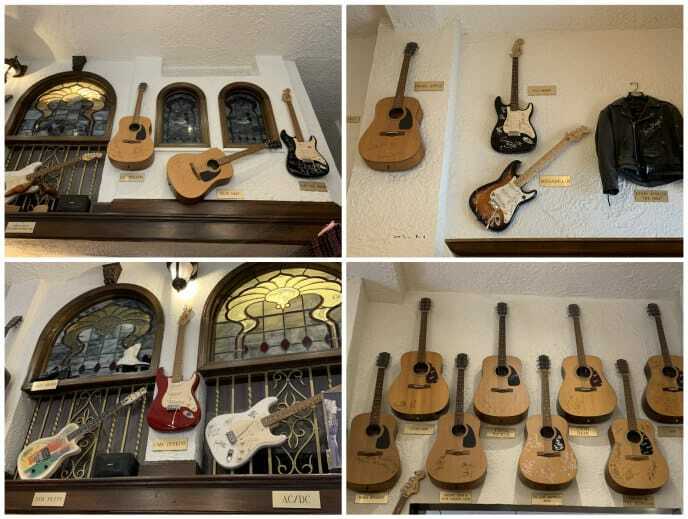 However, step inside the Peabody Lansky Bros. shop and walk all the way to the back and you will be rewarded with walls of memorabilia (mostly guitars) left by many recording artists, actors, and celebrities, including some from Elvis, himself. 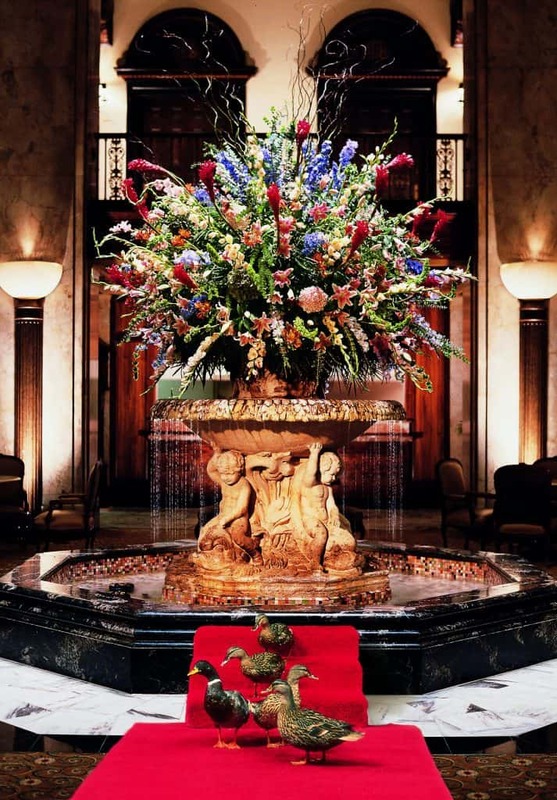 I hope you enjoyed this virtual visit to the Peabody Hotel, Memphis with me. 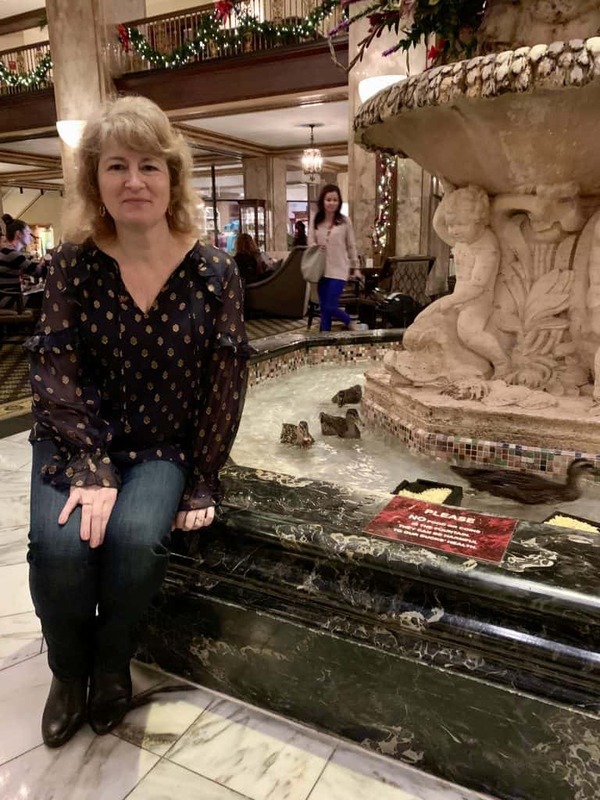 Thank you to my readers Tara D., Susan W., Teresa R., Patricia D., Jacquelynn R., and Devra L. who all recommended the Peabody Hotel to me! If you’re anywhere near Memphis, I would recommend making a detour, just to visit the Peabody Hotel! 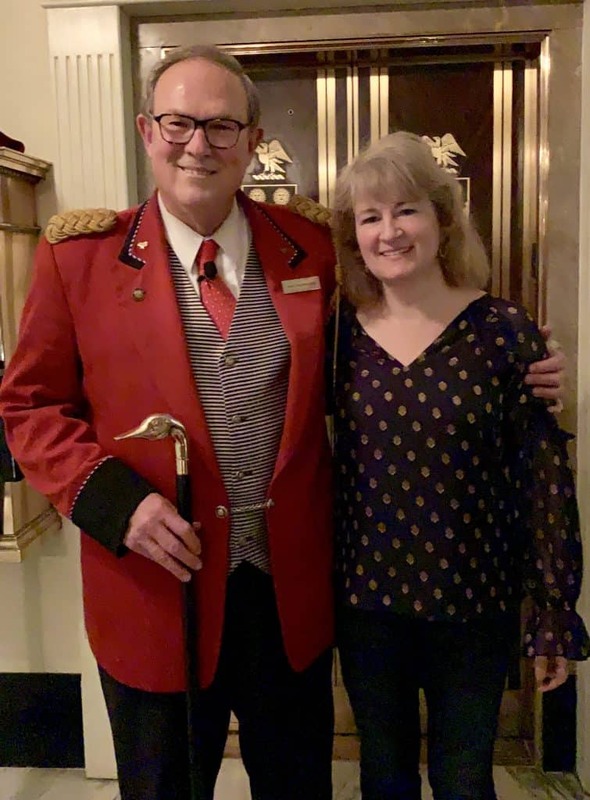 A huge thank you to Doug Weatherford for the wonderful time we spent with him (and the Peabody Ducks), and to Kelsey, who gave my parents and me a very warm welcome to the hotel! Note: The Blues City Cafe serves authentic Memphis-style barbecue, and is just down the street from the Peabody Hotel! Thanks again to Doug for the recommendation. Catfish and chips, bbq ribs, exterior, catfish and seafood gumbo. Sign up for my free travel and/or recipe subscription below and don’t miss another post! Thanks for the kind words and your well written article. I thoroughly enjoyed taking you and your parents on that tour and I hope to see you on a return visit. I remember being amazed the last time you were there by the luxury of this hotel. It’s nothing short of of exquisite! 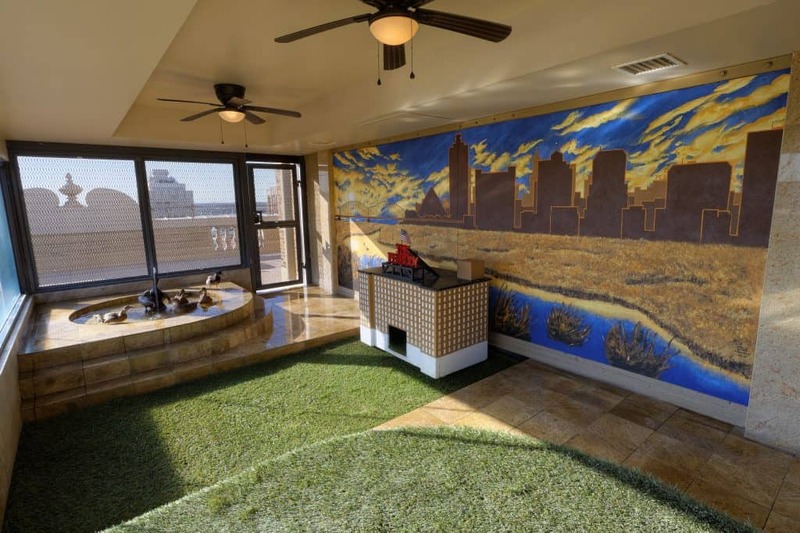 I would visit Memphis JUST to stay in that hotel…and maybe some of the other highlights here too! Totally worth going to Memphis JUST for this hotel! What a fabulous report! 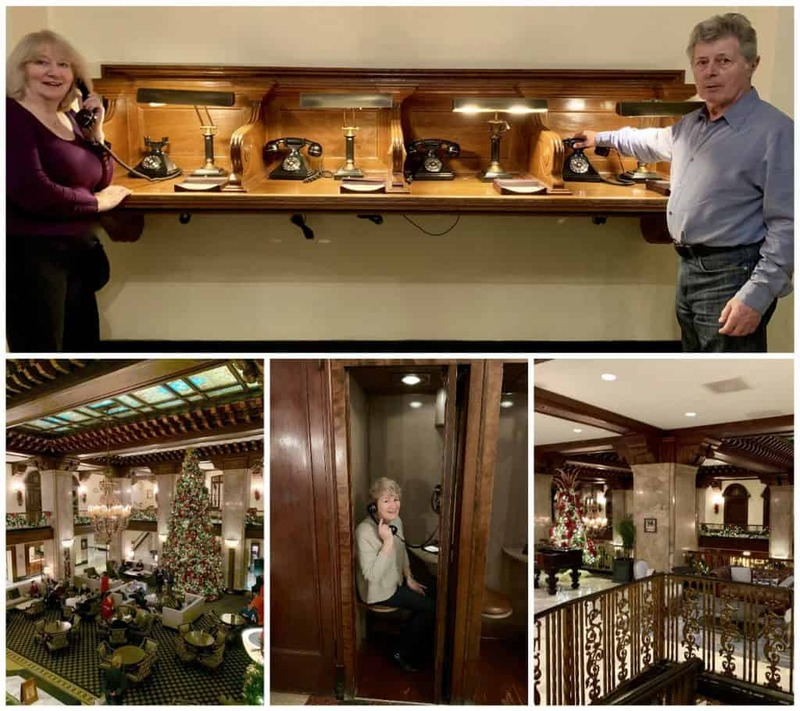 I am putting Memphis on my bucket list just to go to this hotel! Wonderful, Cathy! You won’t be disappointed! Wonderful piece! 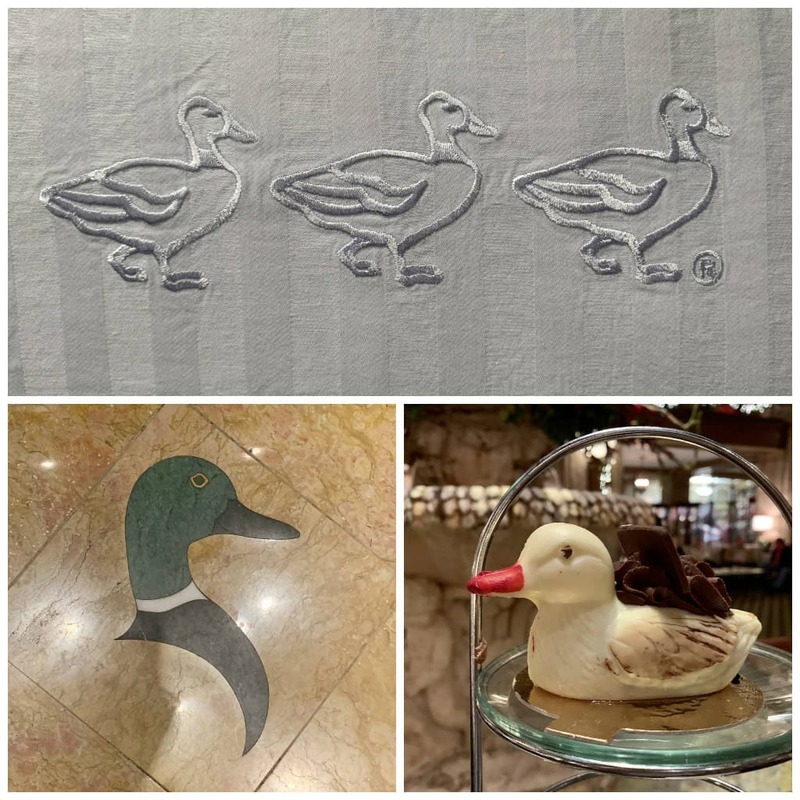 The hotel is beautiful – we saw it (but not the ducks) last time we were in Memphis. I’d love to host you on a Peabody History tour one day. I do those at 11:30 am after the morning Duck March almost every day. What a wonderful story. Sounds like a very good time. It was wonderful, Jennifer! Thank you! What a hoot! Just the mention of the Peabody Duck walk had me in stitches. This looks so much fun and yes, if I ever get to Memphis one day, I’ll be sure to check this hotel out. Love the history behind it, the beautiful photos and seeing your Mum and Dad look like they’re having a ball, too. Isn’t it funny that grown adults (including me!) are giddy over seeing ducks walk on a red carpet into a hotel fountain?! You definitely would enjoy it, too, I’m sure! :) I do hope you’re able to go one day! We didn’t stay at the Peabody during our Memphis trip but we did go and watch the duck parade. Wish I’d known about Lanksy Bros before we went! If I ever travel to Memphis, I’ll be sure to visit. Beautiful pictures. Fantastic, you won’t regret it, Angela! Thank you. 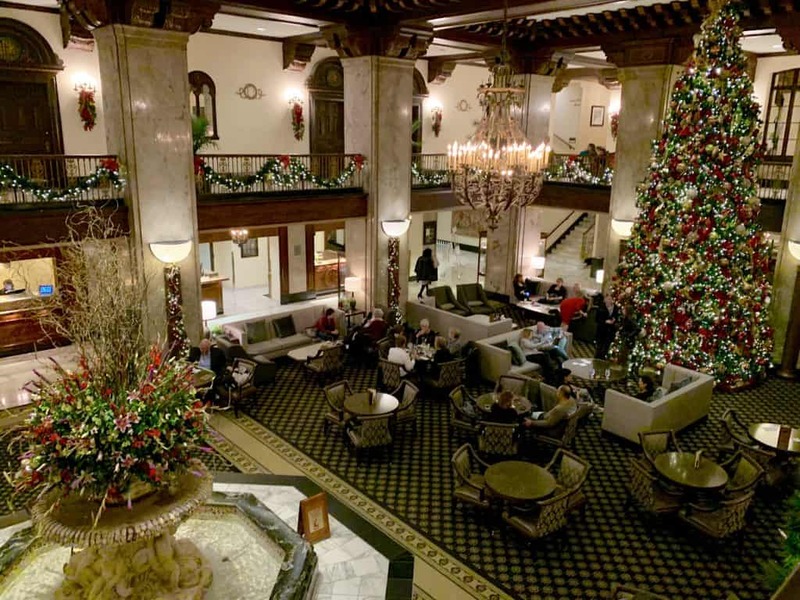 Thanks for the photos and article – I want to visit The Peabody Hotel one day. You’re welcome, Jackie! I do hope you are able to go, too! Absolutely exquisite hotel. Love the duck story. 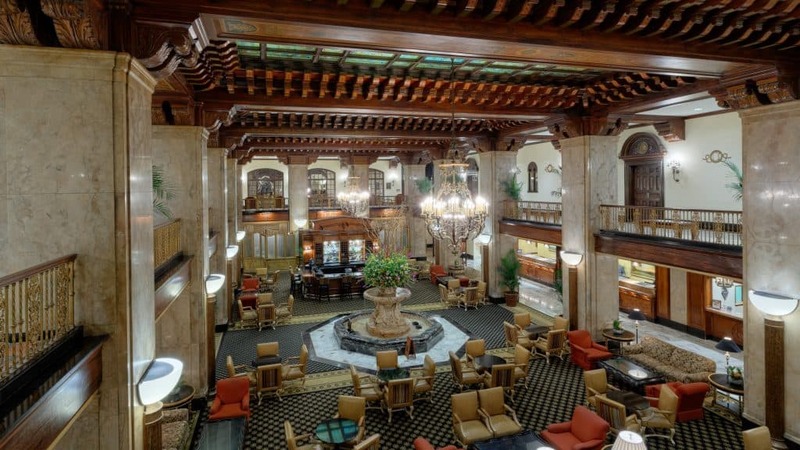 I have never been to Memphis but if I ever do go I will surely go to the Peabody Hotel. 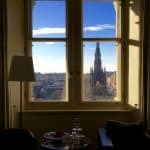 Beautiful photos, your design and composition is excellent Christina every part of the hotel looks inviting. Picture are beautiful! 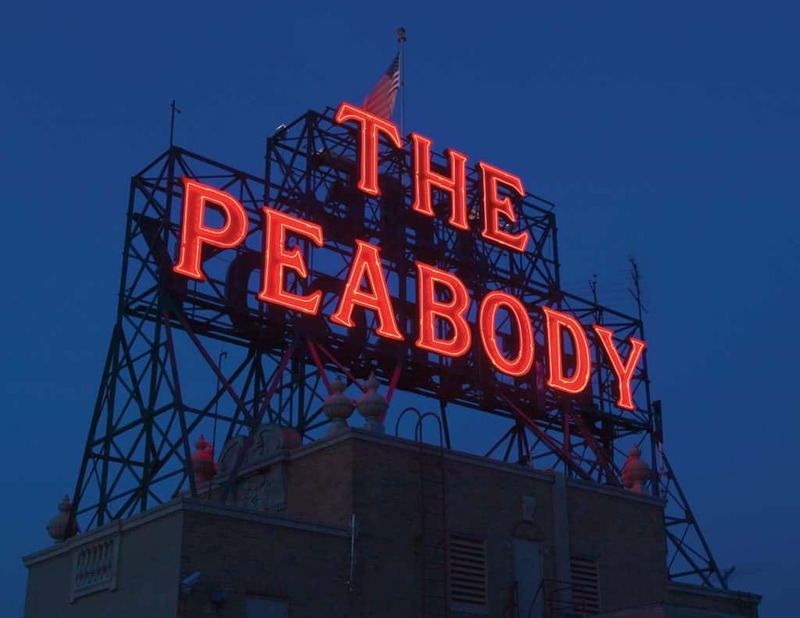 I’ve been to Memphis, Graceland and stay at BassPro Cypress Lodge with our grandsons, but never knew about The Peabody. Thank you so much for sharing the amazing adventure, will put it in our “to see” list. Thank you, Pamela. I’m so glad you now know about the Peabody! Even your grandsons would love it, I’m sure! Looks great , what fun. Next time I am in Memphis I will stop by. So love to see these photos of you and your sweet parents! You have such a great gift with words and photography that you transport me there! Brian and I will have to try to stay there a night next time we travel through! Awww, thank you, Melissa! I appreciate that so much. I know that you and Brian would love it at the Peabody! Most definitely would Christina! Just wish we had had your post before we went to Memphis a couple of years back. We drove by it and said that looks like a nice place but never made it in. Will definitely look into it on our next trip to Memphis. Thanks for posting! 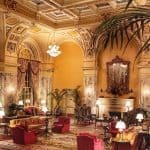 This article makes me want to go to The Peabody Hotel. It looks like a lovely place to visit. Thank you, Christine! It really is, you wouldn’t be disappointed! Your photos were spectacular as usual. I had heard descriptions of the Peabody Hotel and the ducks from my parents who got to see them in person one time. 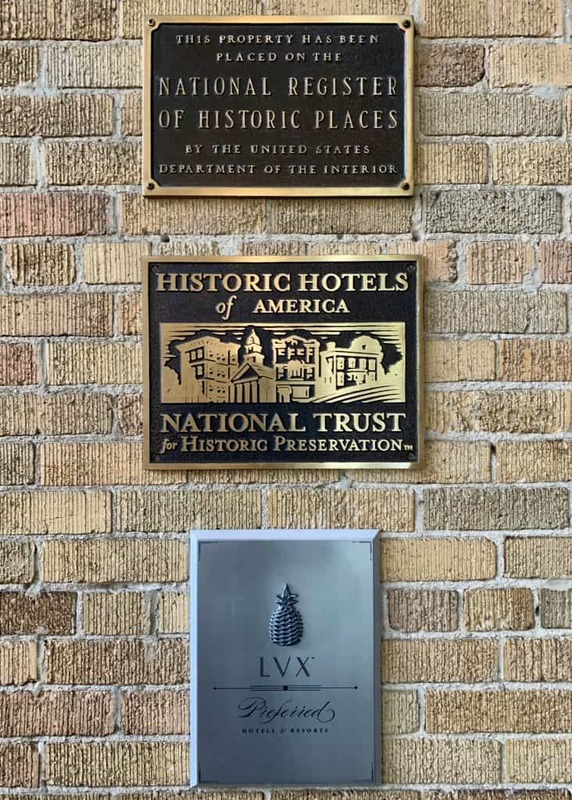 That tour sounds like it is worth the extra time to take it and learn more about the hotel, etc. from your description. Thanks for writing about this.